First of all, we want to say a big Thank You to all you knitters. Knit for Peace has grown and we are now receiving knitting from 1,041 groups and 4,188 individuals and lots from those who want to remain anonymous. What all have in common is a love of knitting (or crochet) and a desire to help others.A major task for us is to find suitable outlets for all the knitting. 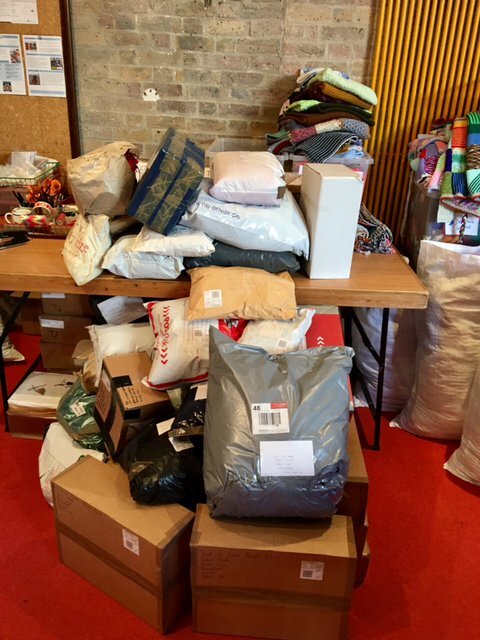 An enormous amount goes overseas to refugees and to developing countries (when we can ensure safe delivery), and we send out to 232 different charities for distribution. These include women’s refugesm homeless shelters, hospitals, community groups, drop-in centres and old people’s homes. Our workshops for 2017 have once again been curated by Jane Crowfoot and feature many well known names. They are held at our quirky offices at the heart of Hampstead Village, less than 5 minutes walk from Hampstead tube station on the Northern Line. Click here for more information on each course. 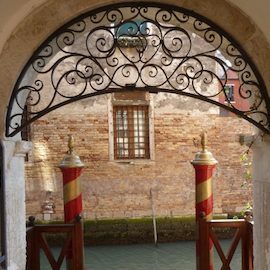 Join us at the Locanda San Barnaba Hotel, a 16th-century palazzo located at the Dorsoduro district. The hotel is ideally located near all of the main sights and is air-conditioned. We’ll be knitting in the salon and the garden terrace. Lots of time for sight-seeing, friendly atmosphere. Costs from £700 for four nights (depending on room chosen) includes breakfast and local taxes. Price does not include flights. The price includes a donation to support Knit for Peace’s work. Our next knitting holiday at the Green Hotel, Mysore will be 20th January-2nd February 2018. It will be led by well-known designer and tutor Jane Crowfoot. 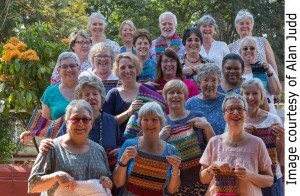 Our knitting holidays to Mysore provide a great opportunity to enjoy India in a safe and comfortable environment. There are opportunities to visit projects supported by the Green Hotel and Charities Advisory Trust and plenty to see and do for knitters and non-knitters alike. We can’t keep up with the demand. 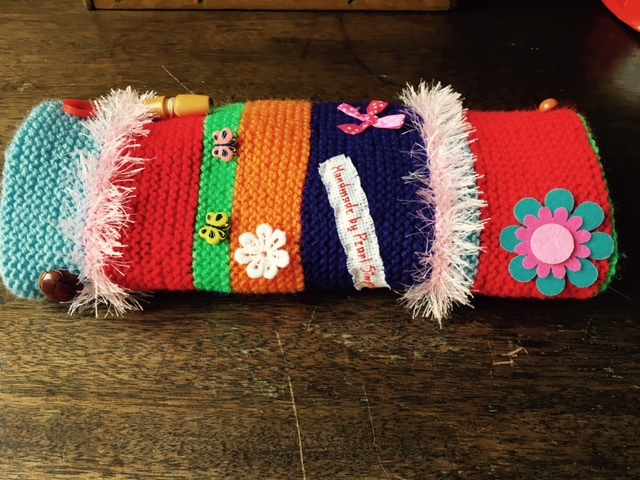 More and more hospitals are contacting us asking for twiddlemuffs. They are now used not just for dementia patients but in post-operative recovery. We also have been asked for some for hyperactive children. There’s lots of scope for individual creativity in making twiddlemuffs, but the basic pattern is on the website. Click here for the pattern. Of course we have a steady need for baby clothes, children’s and adult’s items and blankets. Knit what you enjoy knitting! Look out for our report on the Health Benefits of Knitting! Date for your diary: Remember, remember the 5th of November when we’ll be holding a Knit for Peace Festival at Chelsea Old Town Hall.